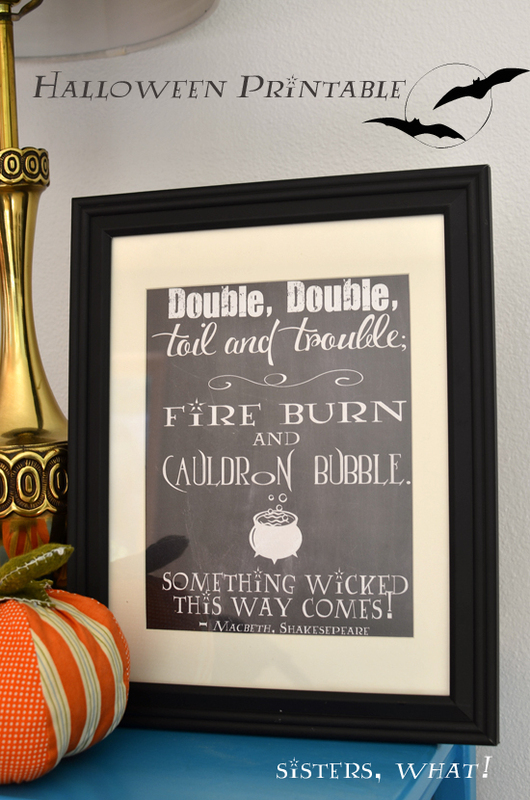 ' Shakespeare [and Harry Potter] Halloween Free Printable - Sisters, What! I love Harry Potter and I love Shakespeare. My first Shakespeare just happen to be Macbeth and the chant of the witches in the beginning have always stuck with me. I thought it was pretty cool that John Williams added some of that chant to the music in the third Harry Potter movie (you know, during the sorting when the choir sings with the frogs?). If you're still not sure, I guess it's time for you to go and watch it again. Love HP and I studied Macbeth at school! The witches scene was everybody's favourite. 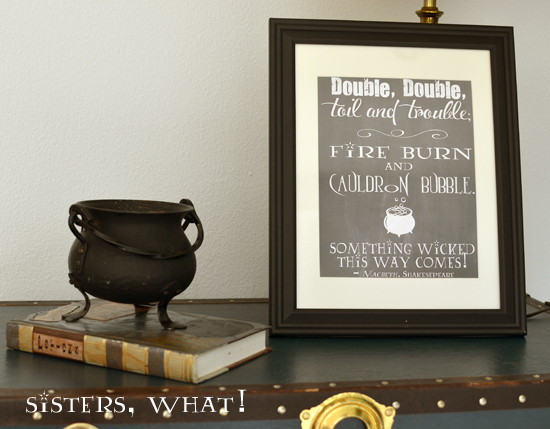 I almost forget how much I love Harry Potter until I see something like your Etsy print, reading it has made me want to read the books all over again. Cute printables!! 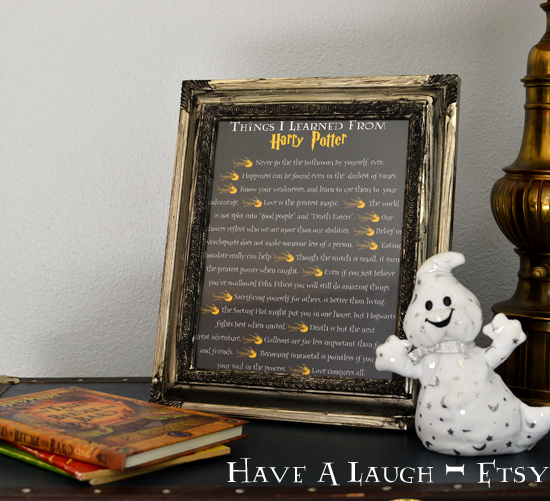 I love how easy they are to print and hang up, love it! !